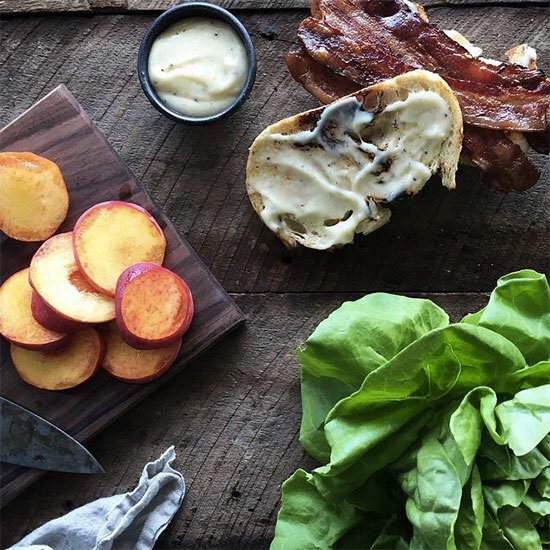 Superjuicy, indescribably tender and more aromatic than any green-market peach you've ever tasted, the fruit sold by The Peach Truck has Nashville's best cooks swooning. Pastry chef Lisa Donovan takes a bite. Have you ever had a trash can peach, a specimen so juicy you have to eat it hunched over a garbage pail? If not, you’ve probably never met my friend Stephen Rose. He is the owner of The Peach Truck, a small company that sells impeccable fruit from Pearson Farm in Fort Valley, Georgia—his quiet hometown. 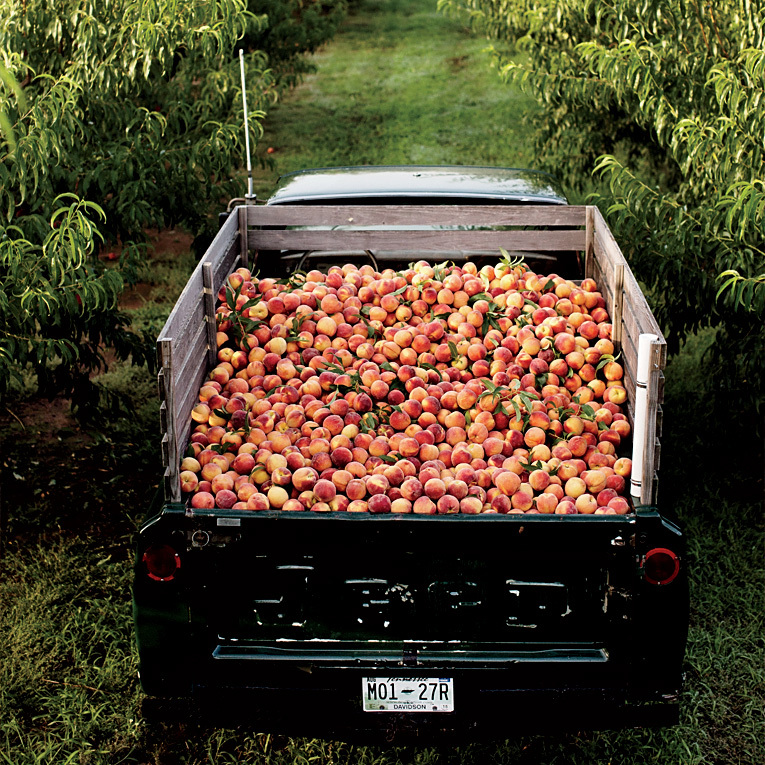 The Peach Truck is named after the 1964 Jeep that Stephen and his wife and business partner, Jessica, use to deliver that fruit, just hours off the tree, to a cult following of chefs and farmers’ market devotees in Nashville. Stephen and I can’t remember when we first met; it’s all a hazy peach dream. He swears he’s only been selling in Nashville since 2012, but that simply can’t be true, because I’m pretty certain he and his fruit have been major players in so many of the good decisions I’ve made as a pastry chef. Could we have met at City House in 2008, where I first learned what a trash can peach was as my chef, Tandy Wilson, and I ate one, laughing and covered in juice? Perhaps he and I met some other time over the next several years as we circled each other at Nashville pop-up dinners and block parties. The city was bursting with new ideas then, with great music and fancy jeans. Weren’t peaches always at the center? Come 2013, I was seeing Stephen every week at Husk restaurant, both of us with real jobs: I in a crisp apron, he with his clipboard of orders and crates of peaches. He felt like a childhood friend. Today we remember each other’s faces from those days, our conversations and the important choices we made. But still, we don’t know when, exactly, our paths first crossed. Is this the power of the peach, a fruit so seductive it has made us somewhat oblivious to the passage of time? In those early days Nashville was steeped in a kind of strange magic: We were part of a very great moment, and it felt like every big dreamer lived in my neighborhood, in my city. Back then, we seized each opportunity and took every risk. These days, Nashville is changing as it tries to grow up. And Stephen’s peaches, which appear at restaurants all over town, are an integral part of that. Now they’re spooned over the biscuit breakfast sandwich at Barista Parlor, simmered in a pork ragú at The 404 Kitchen, tossed with spicy grilled sausages at City House. Stephen and I have grown up, too. 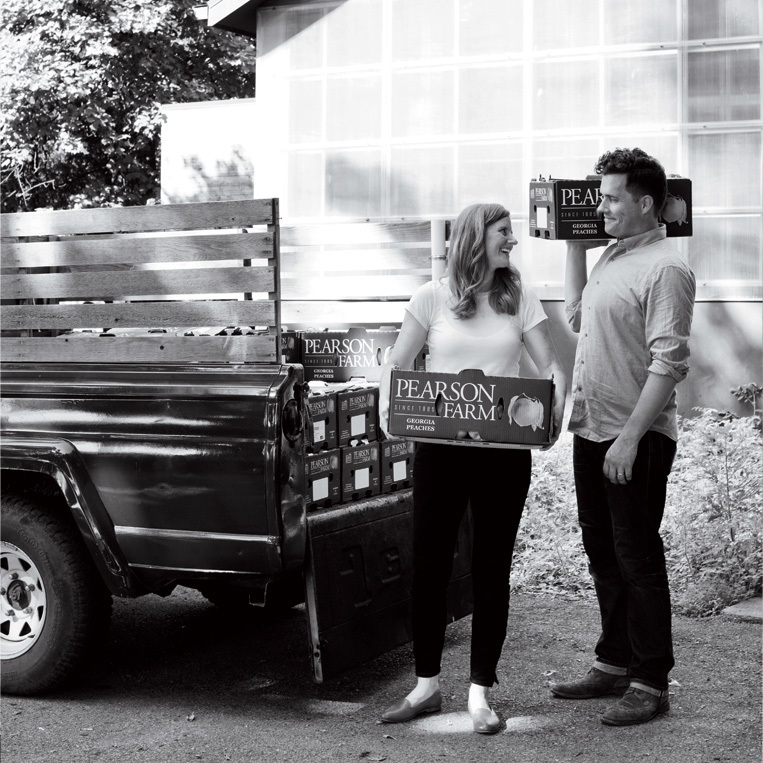 Last year he and Jessica partnered with Uber on a delivery app, and they’ve begun shipping across the country through their website, thepeachtruck.com. He and I both have accountants and employees now. We have homes and children. But when I think about those early days, full of hope and excitement, I always remember that first bite of summer fruit. Life felt ripe with possibility, just like one of those peaches. The peach truck delivers to die-hard fans all over Nashville. Here’s where to find its fruit. up bakeshops at places such as musician Jack White’s recording studio, Third Man Records. This creamy, fruity ice cream is made with just eight pure ingredients and takes just 40 active minutes to prepare. 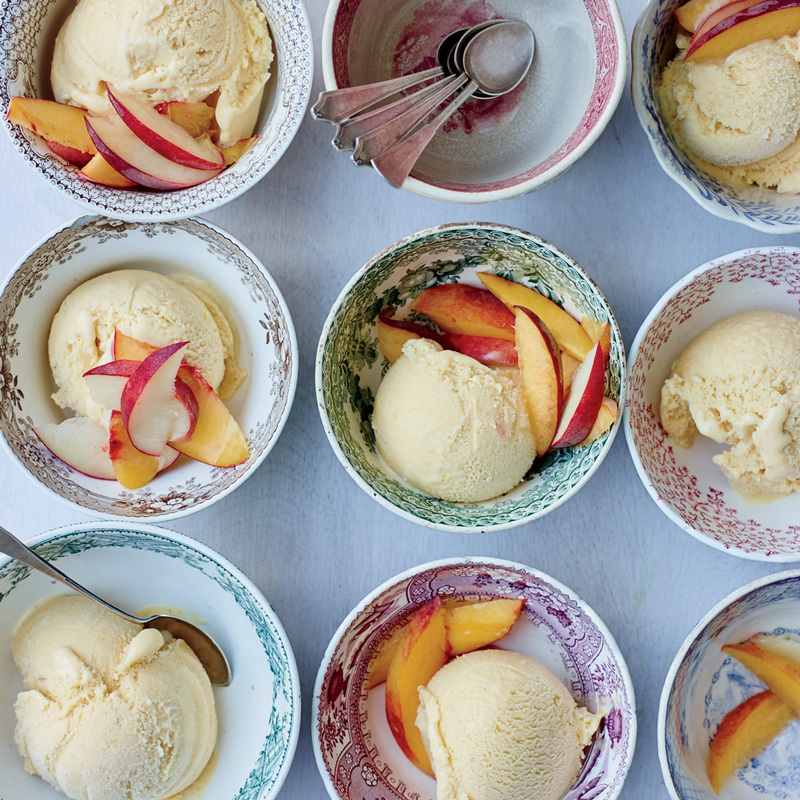 Be sure to use the best buttermilk you can get for this recipe: The ice cream is just as much about the rich, tangy buttermilk as it is the fragrant peaches. On summer Sundays, The Peach Truck parks in front of Andy Mumma’s coffee shop. Locals stop in for a cold brew called The Giant Peach or a breakfast sandwich, then buy a bag of fruit to take home. 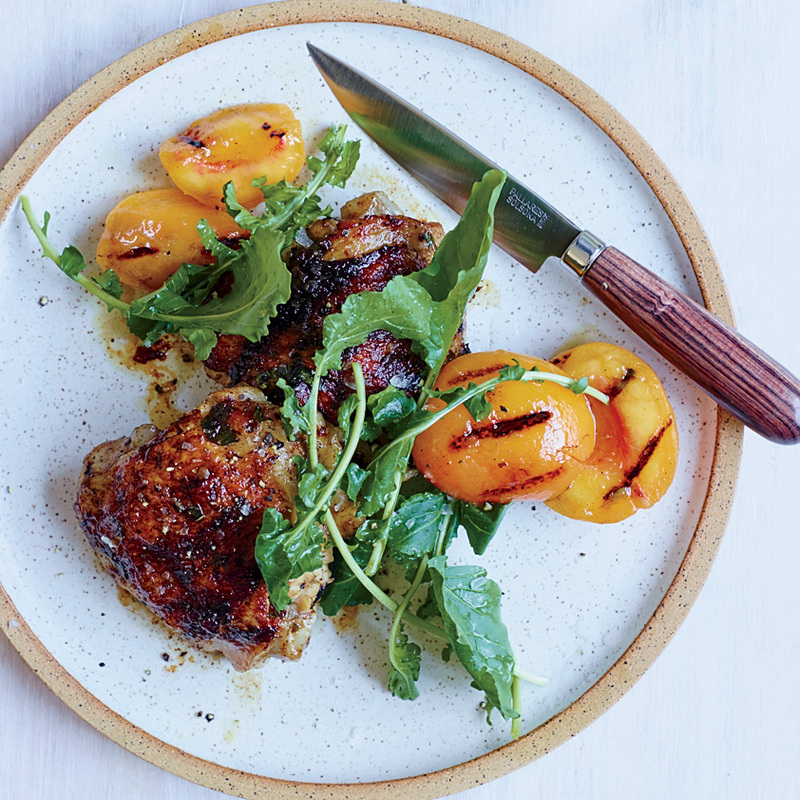 Try Brock's recipe for Grilled Chicken Thighs with Pickled Peaches. City House was the first door that Stephen and Jessica Rose knocked on back in 2012. Chef Tandy Wilson bought a crate of peaches on the spot. “On a warm summer day, I will slurp down one of these juicy peaches. They practically dissolve in your hand,” he says. Get Wilson's recipe for Grilled Pizza with Peaches and Aged Cheddar. At his restaurant, chef Matt Bolus says, “my favorite thing to do is top a fresh cheese like ricotta with sliced peaches, a drizzle of local honey and some mint. It’s heavenly.” He also uses the fruit in everything from cocktails and cobblers to pastas.